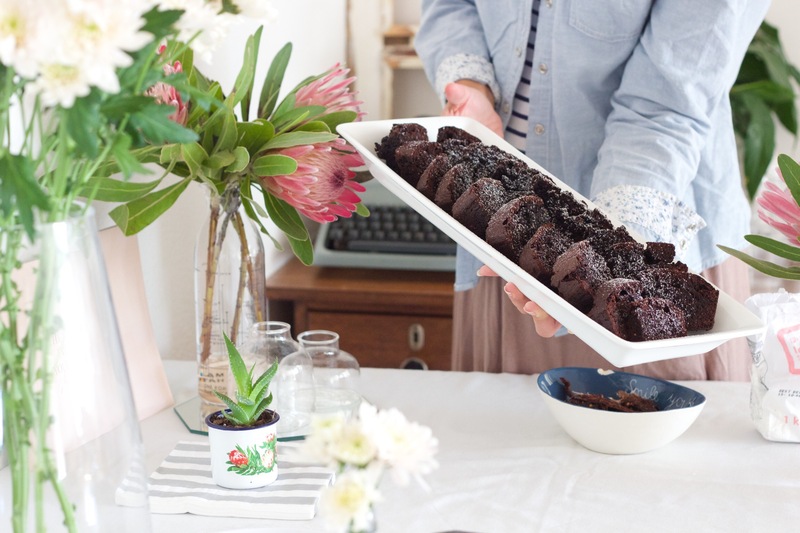 These are the most chocolatey chocolate brownies I’ve ever had & they’re super delicious!! They’re moist (as much as that word makes me cringe) in the centre and a little bit crunchy on the outside, just the way I like it! Sorry if that’s not your vibe! They are so good you even forget to check your teeth for lingering brownie bits because you’re so happy! They aren’t too sweet that they make your teeth sting – that happens to me! These were also a huge hit at the kitchen tea & let’s face it they’ll be a hit at an uppity high tea, stoners chill sesh or a kids party – so basically there’s no reason you shouldn’t make these…. Unless you’re diabetic! 1. Melt together chocolate, butter & syrup and mix until smooth. 2. Beat eggs & sugar together until light and fluffy. 3. Sift dry ingredients together and add with melted chocolate mixture , to creamed egg mixture. 4. Add essence and nuts. 5. Pour mixture into greased 20x24cm rectangular tin and bake in a preheated oven at 180C for 40-45 minutes. 6. Cool completely in the tin then cut into squares. Again, let me know if you make this chocolatey goodness! And take pictures!